I’m on my way to work, in a regular day in life. I open my phone, look out for the familiar yellow & black icon that would help me get there. I see the familiar maps, the tiny car icons circling around me, I book one, and I’m immediately informed about my driver and other details. As I get into the cab, I’m also notified of the other passenger I’ll be sharing my ride with. We strike up a conversation, she gets dropped midway, I reach office and immediately receive my invoice on email, and a rating pop-up for the driver. What I’ve described above is probably a daily occurrence in the lives of many urban people like me. On one hand of the spectrum, we have the consumer whom the cab company is enabling to move about, share a ride with another person, be duly updated on the status, all with a few clicks on the phone. Then there’s the company. Along with just letting the customer hail a cab, it, on a single app, is working out navigation, pairing relevant cabs with people, sending them updates. It is also simultaneously managing payment nuances with the driver. Thousands of them. Meanwhile, the cab company, is also experimenting with other forms of urban commutes, with the help of technology. Other than pairing one person with the cab plying closest to them, it’s also now pairing people on the same routes for “Share rides”. And in a true manifestation of the sharing economy, it is now providing a platform to people to rent out space in their own personal cars, turning them into cabs, all on a single app. Realising the limitations of cabs, and the many differing needs of the urban daily commuting populace, the said company is playing around with the idea of moving beyond only cabs, and also has auto-rikshaws and bike taxis under its offering. Then, beyond the cab company, there are players who are endeavouring to get into mass transit to solve the bigger problems of traffic and scale. Players like Shuttl and Zipgo have their own visions of transforming the daily commute for thousands of people, by providing on-demand shuttle buses, and all this too on a single app, with the help of some nifty tech. How then, can we call an Ola, an Uber, a Hey Bob or a Zipgo “Cab hailing apps”. Open most media articles and till date Ola And Uber are referred to as “Taxi Hailing apps” or cab aggregators” or similar but misfitting nomenclature. While once upon a time these may have been just ‘cab hailing apps’, calling them that today is stripping them away of all the superior technology that goes into solving the problems of urban commute and conjures up images or using a phone to simply call a driver and hail the cab! The days of the ‘cab hailing apps’ are well and truly behind. 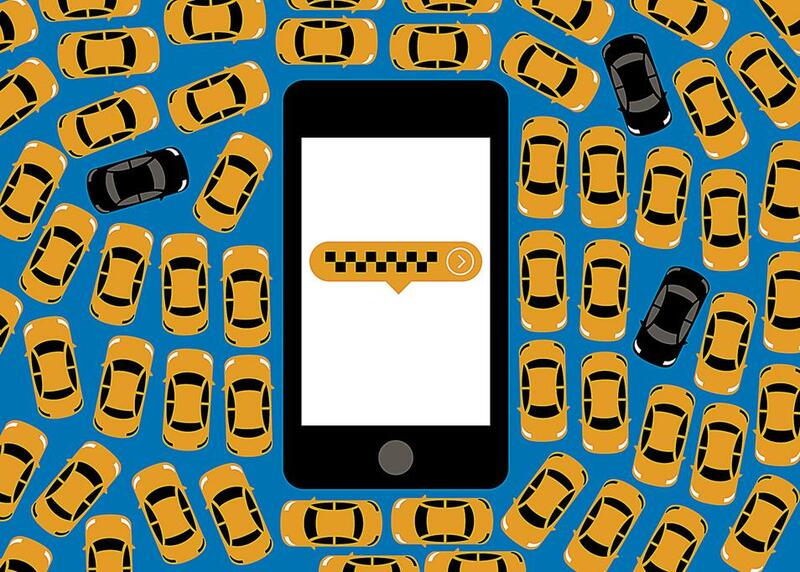 It’s the beginning of a revolution in the commuting industry, with the help of technology. It’s the beginning of Commute Tech. We have Food tech. We have FinTech. And it only makes all sense to finally coin the phrase we have been inadvertently wanting — Commutech.